This triangular necklace is made of beautiful Mother of Pearl beads with a pretty connector bringing down a center starnd. 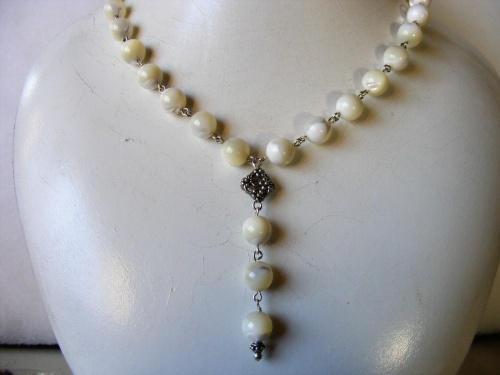 Piece measures 19" around the neck and comes with a complimentary pair of sterling silver and mother of pearl earrings. Has a beautiful Bali clasp.